Burned my Camino shirt at Land’s End in Finisterre today. 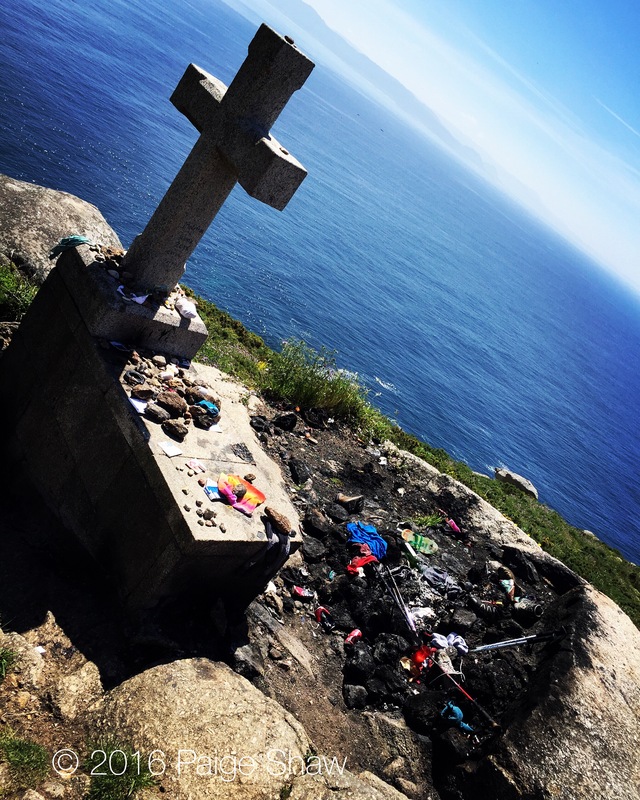 This entry was posted in Camino, Camino de Santiago, Camino Portugues, Spain and tagged Camino, Finisterre, Peregrino, Photo of the Day, Photography, Pulgrim, Travel on June 7, 2016 by Paige Shaw. You took me with you and I really had a g ood time, my feet don’t even hurt. Thanks and hurry home. Burning man’s comming. Nice to “meet” you! We found parallels between Burning Man and the Camino and to see both on your blog enticed me to read more. We were the subjects of the documentary Taking My Parents to Burning Man, (rentable on Amazon etc 😉 )… and we did the Camino Frances route last fall. This year we are planning on the Portugues route. Buen Camino! I will look for the movie. I often remark that the 2 things everybody should do in their lifetime is to attend Burning Man and walk the Camino Frances.They tend to be life changing events. My only advice for the Portugues route is not to start from Lisbon on a rainy day. Buen Camino or maybe I should say Bon Caminho.